Influenza vaccination of health care professionals is the most effective public health strategy to prevent influenza’s transmission in hospital , reduce the mortality of elderly and high-risk patients  and limit absences from work during influenza epidemics [3–5]. 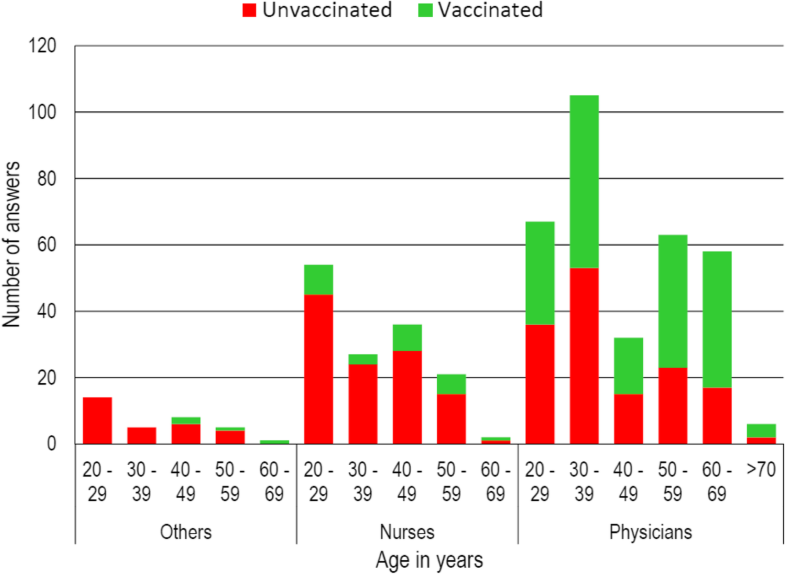 In Italy data on vaccine coverage of health care professionals is quite limited. In the region Veneto there has been a moderate increase in the last years (from 16.7% in 2013–14 to 28.8% in 2017–18) , and several studies have shown equivalent variations also in other regions . Nevertheless, vaccine coverage for influenza is clearly far from the 75% target established by the European Commission for high-risk groups [12–17]. The influenza vaccine is free for health care professionals because it is part of the Essential Levels of Care (LEA) . Nevertheless, vaccine coverage is still low in physicians and, even more in nurses and other health care professionals [11, 12, 33–37]. Commonly, in a department nurses are more in number than physicians and considering also other health care professionals, it is clear that such low rates of vaccinations cannot be accepted and interventions should be implemented to increase vaccine coverage.